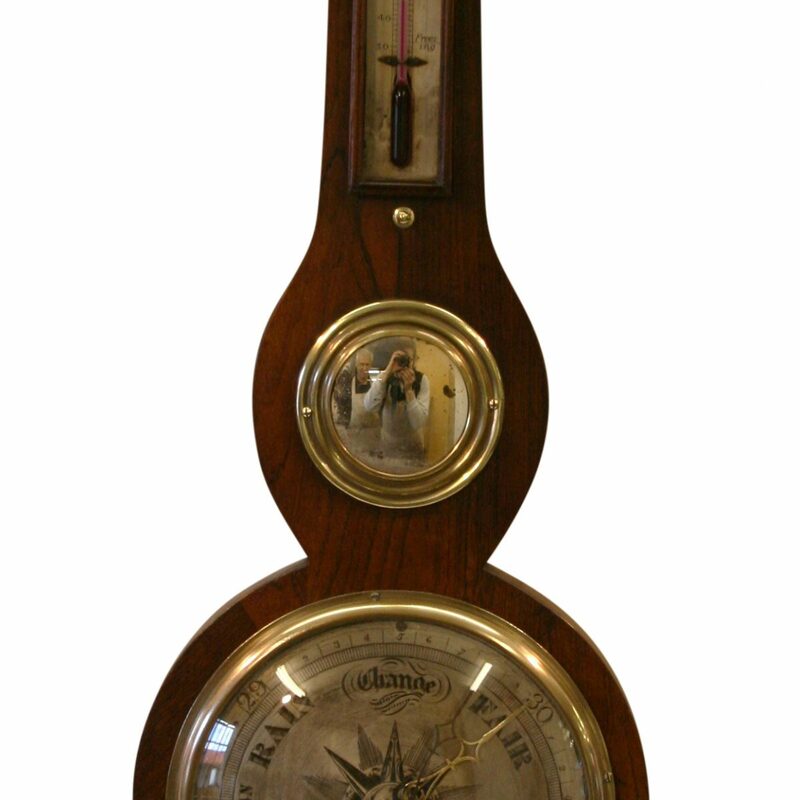 A Victorian rosewood four piece wheel barometer by Martinelli & sons, 2 King Street, Borough. The top has a swan neck pediment. Below this is a hygrometer, a removable alcohol thermometer, a 8 inch mercury barometer dial and level bubble.